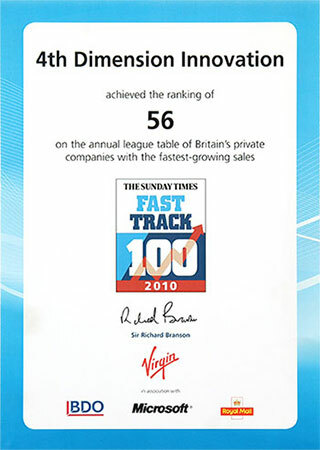 4th Dimension Innovation Ltd was founded in 2003 and has achieved spectacular growth every year since. Initially formed to tackle the costs and delays associated with motorcycle repair, the scale of operations and the range of services offered have expanded significantly. Today we offer a full claims handling service from first notification through to subrogated loss recovery. We are financially stable with a consistently high credit scoring and sound financial history. 4th Dimension Innovation employs over 170 staff drawn from across the motorcycle industry, bringing many years of relevant experience. They are continuously assessed, trained and encouraged to develop. Their longevity of tenure is testament to their loyalty to us and our commitment to them. We provide UK coverage, including Northern Ireland, The Channel Islands and Isle of Man (and, where necessary, European coverage). Our facility in Egham, Surrey, just off J11/13 of the M25, is a modern 50,000 square feet technical, operations and claims centre. This purpose-built site accommodates our claims, engineering and repair facilities. This proximity of teams supports excellent cross-department communication and minimises delays and hand-offs. We are told that the workshop is the largest motorcycle damage repair facility in the world. Certainly, it is the only manufacturer-approved motorcycle damage repair facility in Europe. We also have a dedicated 22,000 sq ft salvage storage and disposal facility on our existing estate, where we have capacity to securely store up to 750 motorcycles before disposal. We represent many of the UK's leading motorcycle insurers and brokers.